Great wines begin on the vine. Flavors and character drawn from the soil below are shaped by climate above. AVEO's vineyards sit high atop Napa Valley's Atlas Peak on a saddle shaped property that channels the summer breezes through the fruit. The cooler air at 1400' extends the ripening season, allowing the flavor complexity more time to build. Careful and constant attention to vine and canopy (leaves) management throughout the year ensure our grapes reach their full potential. Each year we harvest Cabernet Sauvignon and Petit Verdot from our magic spot in the sky. 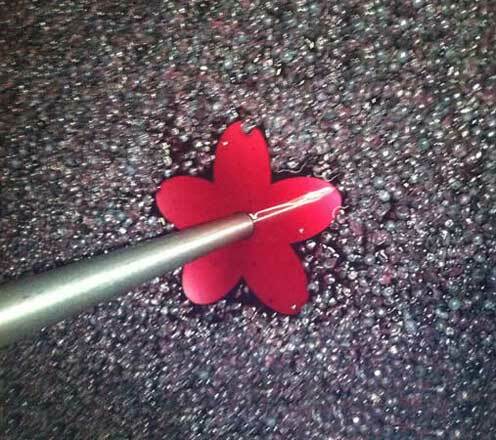 While the blending of wines into Cabernet to highlight this grape's beauty is typical, AVEO carries this process further by crushing and actually co-fermenting the varietals together. The comingling of juices and skins fully integrates the flavors to produce a singular, rounded wine. At AVEO, we've fallen in love with some very special barrels made from sessile oak in the French tall forests. The oak is carefully sorted and naturally seasoned for 3 years at the cooperage (a full year longer than most other top end barrels). The extra fine grain structure in these Grande Reserve barrels controls the rate at which flavor compounds are introduced, and so our Cabernet remains barreled a full 30 months to develop its richness, structure, and elegance.